Potato genetics are protected in Wisconsin gene bank. The unassuming U.S. Potato Genebank outside the Great Lakes vacation haven of Sturgeon Bay, Wisconsin, doesn’t look much like the treasure it is—a collection of 5,000 populations representing 100 species of potatoes, a living library, a pool of genes that could save the crop from disaster or advance spuds to new heights. Just don’t call it a museum. Big payoff. 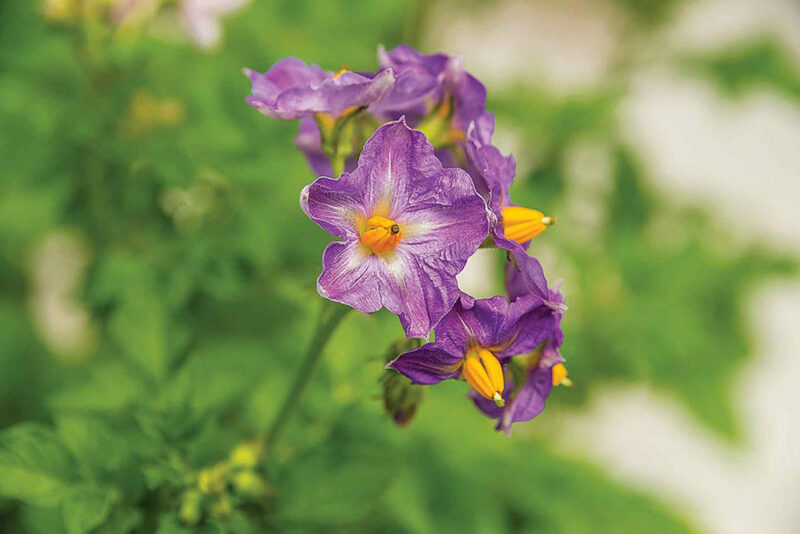 Growers can see the benefits every day, especially if they plant new potato varieties. In fact, about 70 percent of named U.S. potato varieties have genes from the Sturgeon Bay collection in their pedigrees, Bamberg points out, and six of Wisconsin’s last eight cultivars had wild genes in their pedigrees. 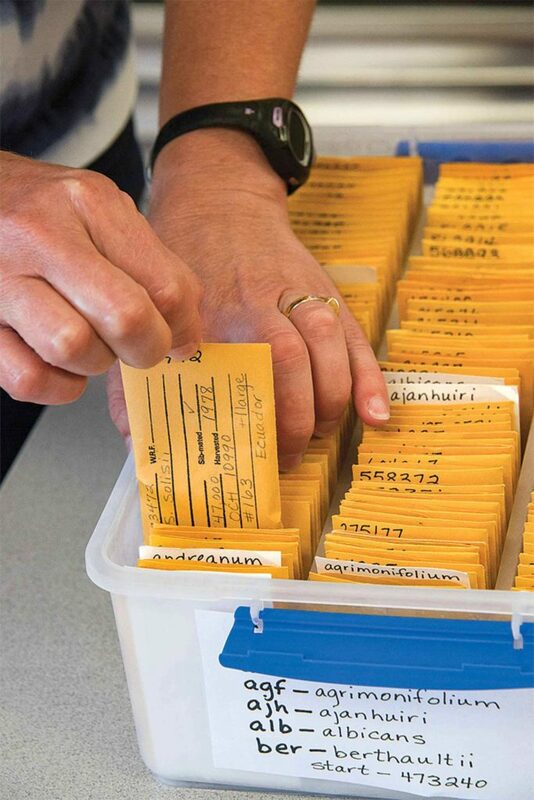 Every year, some key populations are grown from seed to replenish the genebank’s seed supply. Some of the wild species in the genebank have traits that are immediately identifiable as precious, like resistance to late blight or Dickeya, sticky leaves that discourage insects, or frost hardiness. Some have genes for traits that could be harnessed for great advancements after breeders sort out the benefits—traits like lack of greening, or tubers that can stay dormant for more than a decade in cold storage. Nutritional traits are also high priority. For instance, high production of a compound called protease inhibitor 2, or PI2, is at the heart of a hunger control supplement produced by Kemin Industries of Des Moines, Iowa. to knock pollen into a medicine capsule for pollinating blooms. Advancing science. Bamberg’s team helped Kemin not only find high-expressing potatoes, but also helped transfer those genes. That’s not easy. Potatoes represent a range of crossing groups and chromosome numbers. To overcome the many barriers to potato breeding, Bamberg’s team has become expert at a range of technologies for growing, crossing, and evaluating potato genetic resources. The genebank team has also tapped into genetic fingerprinting, which helps not only zero in on key traits, but also sheds light on which stocks have the greatest value in terms of genetic diversity, and which technologies best preserve that diversity, Bamberg says. Beautiful blooms, pollinated, will yield genetic treasures. Electric toothbrush. The team maintains about 1,000 tissue cultures of particularly important breeding stocks and cultivars, and grows some tubers. But most of the genebank’s 5,000 accessions are kept as true seed, which maintain the genes in durable, virus-free packages. Timothy Kazmierczak refreshes the collection, gathering pollen from thousands of flowers from with a modified electric toothbrush. 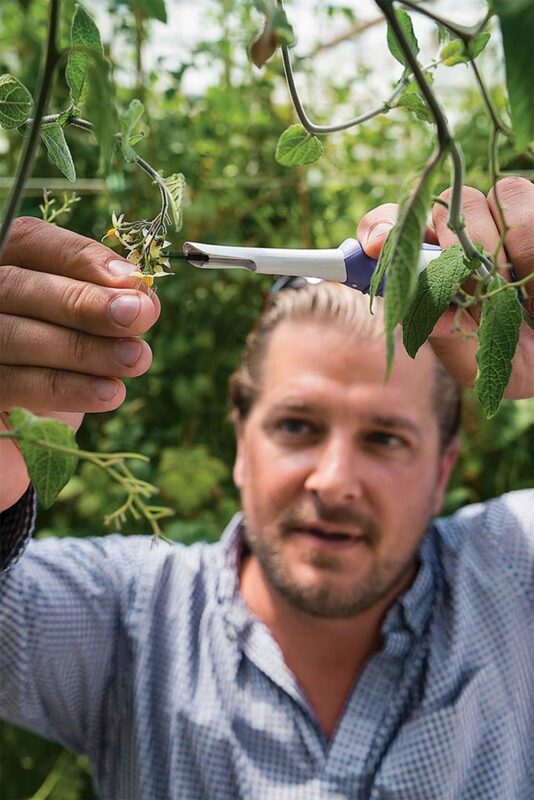 Unlike commercial growers, who focus on genetically identical tubers, his goal is true seed in tomato-like fruit. Tired grasslands are thriving, thanks to an Rx for TLC. Raising Belted Galloway cattle fills a niche.